OrigAudio makes some of the most original and unique speakers that work in unusual ways. Previously I wrote about their Fold and Play Recycled Speakers that require no batteries and begin life as a collapsed cardboard box. Now I want to tell you about their Rock-It Portable Vibration Speakers. Amazingly with the Rock-It-Portable Vibration Speaker you can turn any object into a speaker. A Styrofoam cooler, an empty paper cup, a cardboard box, a car door – your imagination is the limit. Although the Rock-It is called a speaker it is not a speaker. It is a device that turns other objects into a speaker. It operates via vibrations. Once the vibration disk is attached to an object the sound is amplified. The quality of the sound produced is determined by what object it is attached to. That is part of the fun and allure of the Rock-It – finding just the right surface to attach it to. The Rock-It consists of a small white plastic Pod (measuring a little larger than the palm of an adult hand) that holds the batteries, the vibration disk and a cord the attaches to the 3.5mm Audio Jack of your device. The Pod is not the speaker it is just the conduit. 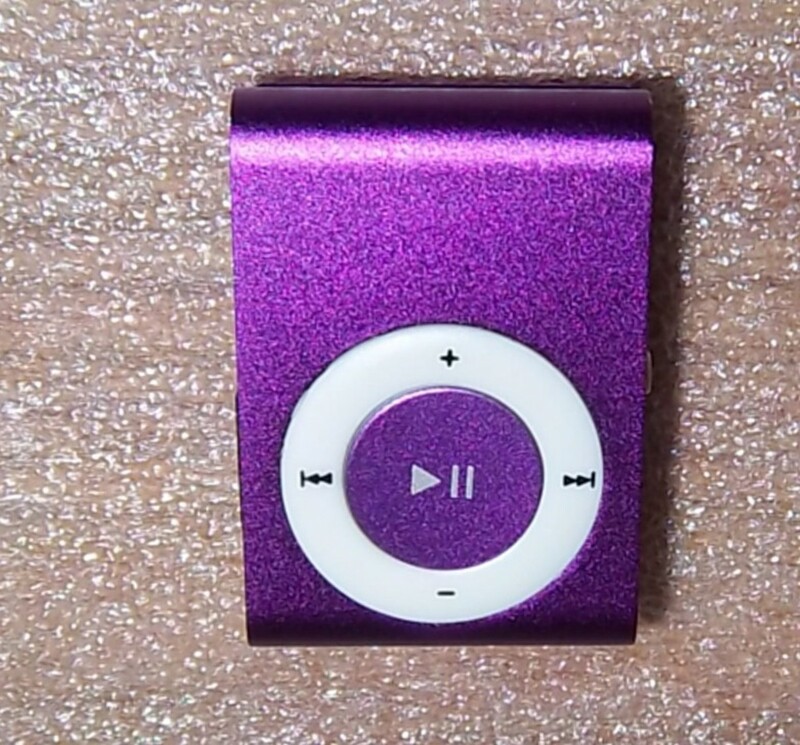 The vibration disk has a sticky pad on the backside that allows it to stick to most any object. There is no sticky residue left behind so that is not an issue. When the sticky pad gets a bit dirty it can be wiped with a damp cloth or finger. Although it will be less sticky it will still be sticky enough to function for a while longer. When the sticky pad no longer functions you can replace it with one of the 4 included in the box. The OrigAudio Rock-It Vibration Speakers can be used anywhere since it is powered by two AA batteries. 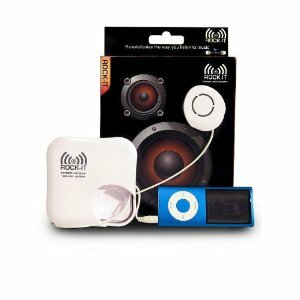 It can be used with any device that has a 3.5mm audio jack such as MP3 players, iPods, iPads as well as Android Tablets and cell phones. If your computer does not have speakers the Rock-It Vibration Speaker can be used there as well. Three steps is all it takes to use the Rock-It. Plug it into the 3.5mm audio jack of your device, turn your device to the music, video or movie you want and stick the vibration disk on the chosen surface. The sound may not be the best and will not rival a Bose Sound System but for everyday use at home and on the go the Rock-It Speakers will fill the bill. After several uses the preferred surfaces will become apparent. Each trial and error session will improve the chances of improved enjoyment. If the kids get board – let them try out different surfaces that will win your approval. That is so cool! You always come up with the most amazing items to share! Thank you!